The Internazionali BNL d’Italia is an annual tennis tournament held in Rome, Italy, the Masters Series event at the Foro Italico. Aside from the Grand Slams, this is the highest-ranking tennis competition in the world, attracting the best male and female tennis players. The men’s competition is one of the 9 phases of the ATP Masters1000 circuit, while the women’s is one of the main WTA circuit competitions. The two competitions are currently held in separate weeks in May. The tournament is played on clay courts. The event was previously known as the Italian Open and changed to its current name in 2002. The Italian tennis championship was first held in 1930 in Milan, where it was held until 1934 before being moved to the Foro Italico in Rome in 1935. 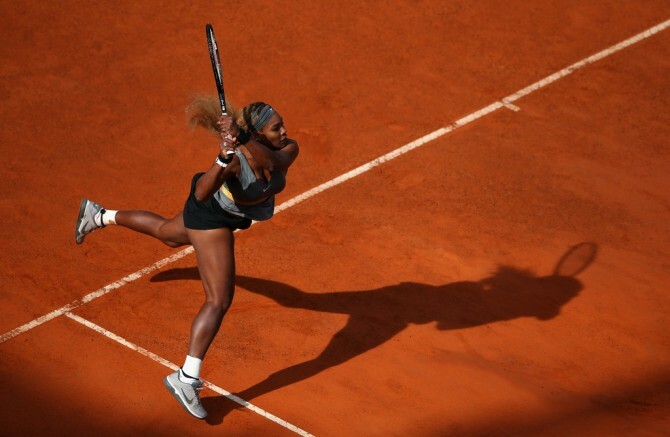 Now is the highest profile tennis event in Italy; every year tennis enthusiasts from all over the round flock to the Eternal City to assist to the tournament. In 2007, the Italian bank BNL becomes the “title sponsor” of the tournament. BNL has always developed strong relationships with Italian sport and its main associations: it has been the bank partner of the CONI (the Italian National Olympic Committee) for 70 years. The spectacular Foro Italico was constructed between 1928 and 1938 and is located on the bank of the River Tevere. It hosts numerous sports venues including the Stadio Olimpico, which hosted the 1960 Summer Olympics. Mussolini built the sports centre to encourage young Italians to keep both bodies and mind fit. As such, the track and the tennis court were embellished with colossal marble sculptures of athletes who preside over all athletic efforts whilst showing off their fine physiques. The event is more than just tennis – it is a total entertainment experience. High fashion, fine food, fabulous shopping and celebrity musical performances have made it one of the most glamorous stops on the ATP World Tour. To enjoy all of it don’t hesitate to make a reservation at Yes Hotel or Hotel Des Artistes! Tickets for the Internazionali BNL d’Italia go on sale on the Italian Tennis Federation website.